Old fashioned, chewy Classic M & M Cookies have been well loved for decades! These soft gems bake up like bakery cookies but come from your very own oven. Perfect for lunch boxes, after school treats and desserts, plus they can be customized with different colored M & M’s depending on the occasion. 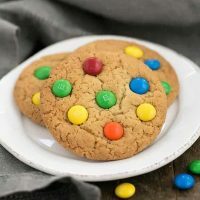 Buttery, soft and dotted with colorful candy coated chocolate bits, these classic M & M Cookies are totally irresistible. Whether it’s after Halloween and you have some extra M & M’s around, a package somehow made its way into your shopping cart, or you’ve just been enticed to add M & M’s to your shopping list, they are perfect for these big beauties. The first time I made these M & M Cookies was a few years back when my youngest, Nick, was home for his college fall break. I nearly panicked when a couple hours before he returned to the dorms, I realized I had no homemade treats to send back with him. Thank goodness, these chewy cookies can be whipped up in the blink of an eye. I’m pretty sure they disappeared just as quickly. The first rule is to read through the recipe thoroughly. For cookies, the eggs and butter are often best at room temperature so that requires getting them out of the fridge an hour or so before mixing. Having certain ingredients like the butter and eggs at room temperature allows them to become incorporated more easily. You do not, however, want your butter so warm that it looks greasy and bends in half when you lift it. 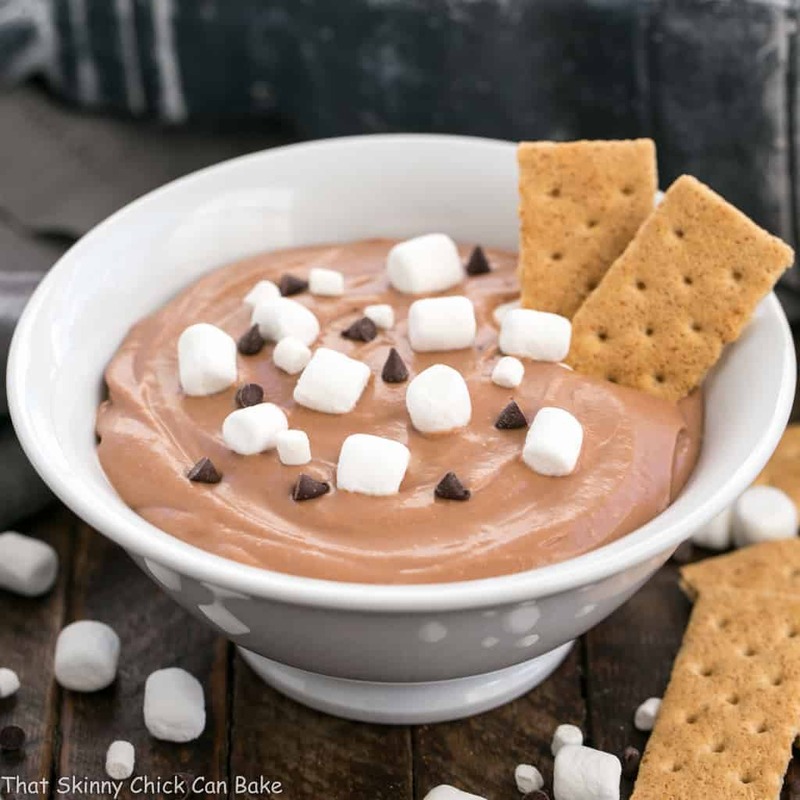 Measure your flour by the scooping your measuring cup into the flour, then leveling off the top using an offset spatula or other straight surface. Whisk the baking soda and salt into the flour so that the latter two ingredients are evenly distributed before mixing them into the butter mixture. Unless the recipe calls for it, mix the dough with a wooden spoon. If you use a mixer, the texture will be more cake-like. Line your baking sheets with parchment paper for easy removal and simple cleanup. I like using a cookie disher for rounder and evenly sized cookies. Space your cookie dough are suggested in the recipe, so that they have room to bake without touching other cookies. Let your cookies cool a few minutes to allow them to firm up before removing them from the baking pan to a cooling rack. If your cookies are not perfectly round, use your spatula to gently press the sides of the cookies into shape. This must be done immediately when the cookies come out of the oven while the cookies are hot and pliable. Pro-Tip: The candy shells of M & M’s tend to crack when they’re baked. So waiting to add them until the cookies come out of the oven helps preserve most of them. The M & M’s must be pressed onto the cookie’s surface while the cookie is still hot and pliable. A few will still crack, but most will not! Preheat oven to 350º and line cookie sheets with parchment paper. Set aside. Beat the butter and sugars until light and fluffy. Add the egg and egg yolk and mix until combined. Add vanilla and mix.Sprinkle baking soda and salt over the butter mixture and mix until combined. Add and mix in flour. If your kitchen is warm, you may want to refrigerate dough up until firm, up to an hour. Scoop out 2 tablespoons full of dough per cookie and roll into balls. Place 6-8 dough balls on each cooking sheet, flatten slightly with the palm of your hand and cover top with 6-8 M & M’s*. Bake for about 12 minutes or until light golden brown. Let cool a few minutes on cookie sheet before removing to cooling rack. Makes about 30 cookies (results may vary depending on the size you make your cookies). Adapted from the Joy of Baking. 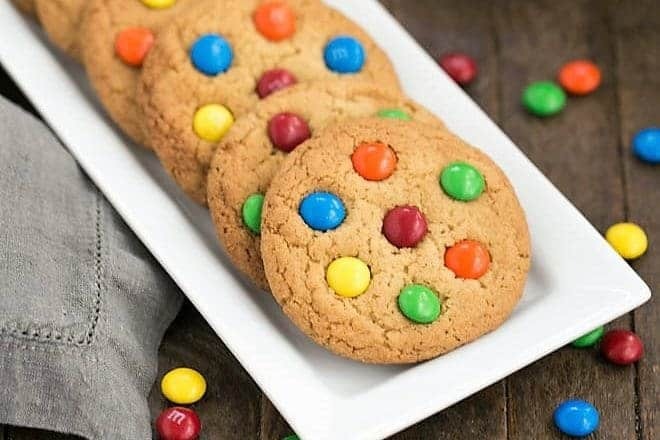 *You can reserve your M&M’s to press into the cookies as soon as they come out of the oven, so they do not crack while baking. 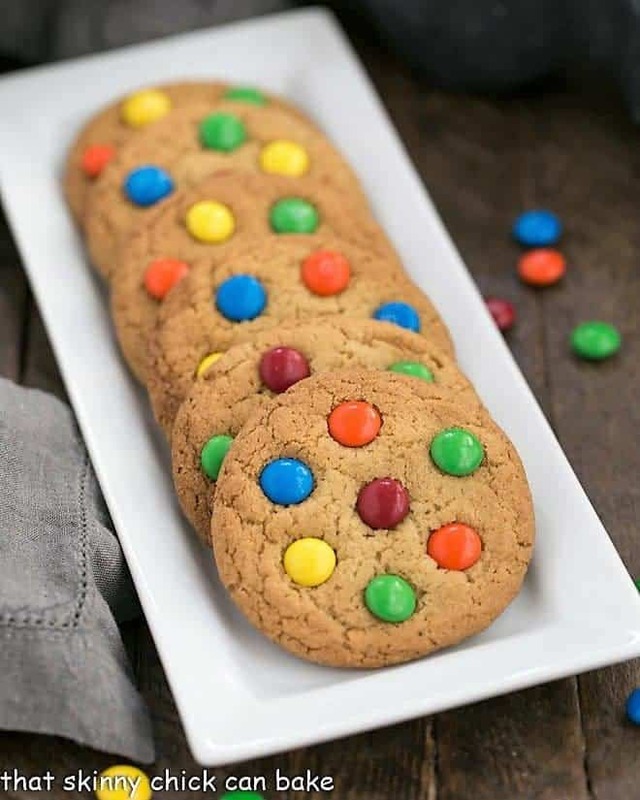 These brought me right back to my days as a kid at the mall, BEGGING for one of those giant M&M cookies! Does this yield a soft, chewy cookie or are they crispy? I mean… let’s be honest. I’m making them either way. But I do love a soft, chewy cookie. Definitely soft and chewy! You’ll love them, Lauren! I would love one for my tea now. They look so tempting! Correct! Such a classic. Yours look absolutely perfect, Liz! Thanks for the baling tips. 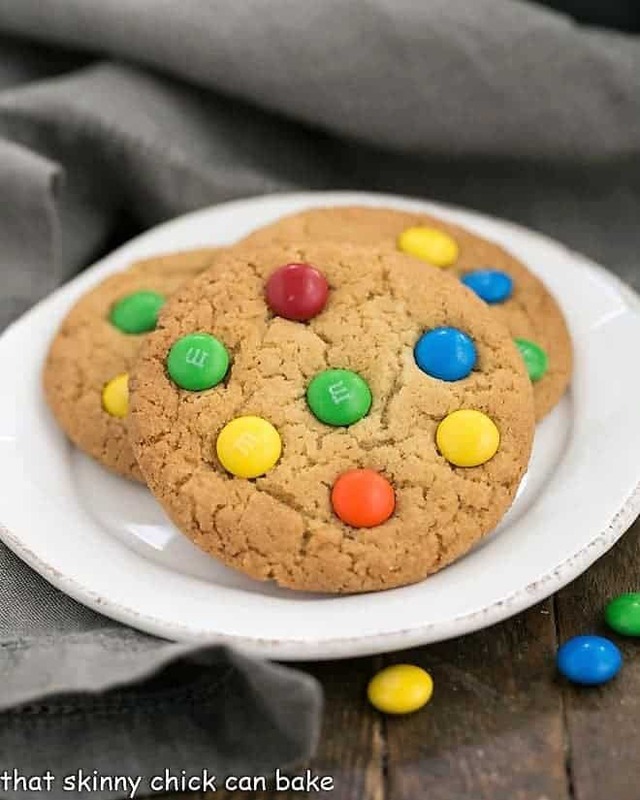 Who doesn’t love an M&M cookie? I don’t know anyone that could pass this up. They look perfect and I know they’re delicious! My kiddos would go bananas over these!! I’ll have to make them as a treat some day soon! 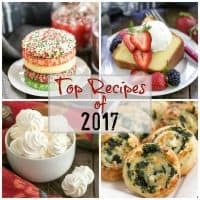 Great tips, putting M&M’s on my list but I there won’t be any leftovers for me to use. I like to snack on them while I make cookies. Nothing better than a classic cookie! Love these! 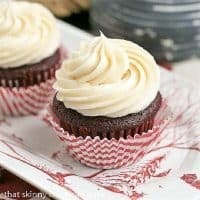 These are a must at our house, we make them all the time! Glad to see there is someone else is inviting autumn and baking ! 🙂 Thank you Liz ! 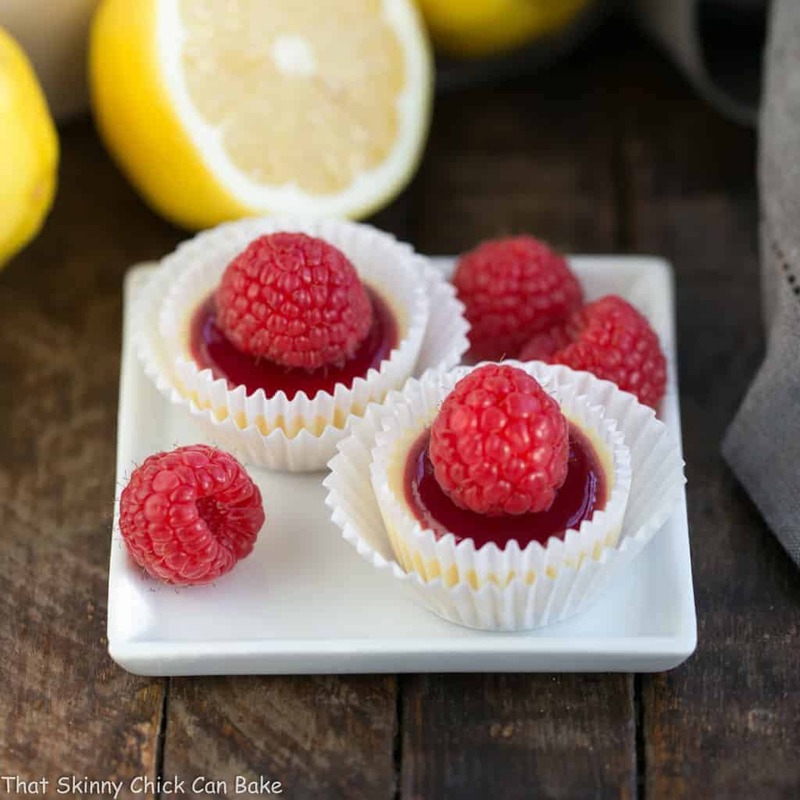 We all need back pocket cookie recipes like this – classic and reliably delicious! The texture looks absolutely perfect, Liz! Can’t wait to try these!! 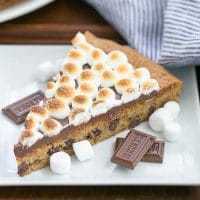 This recipe is definitely going on my to-do-list for my son. I happen to have a bag of M&Ms lying about and I think he will really enjoy these. Looking forward to it. How pretty and chewy these cookies are! 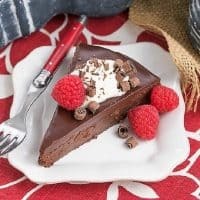 Absolutely loving this recipe!! Classic chewy cookies are always are favorite. 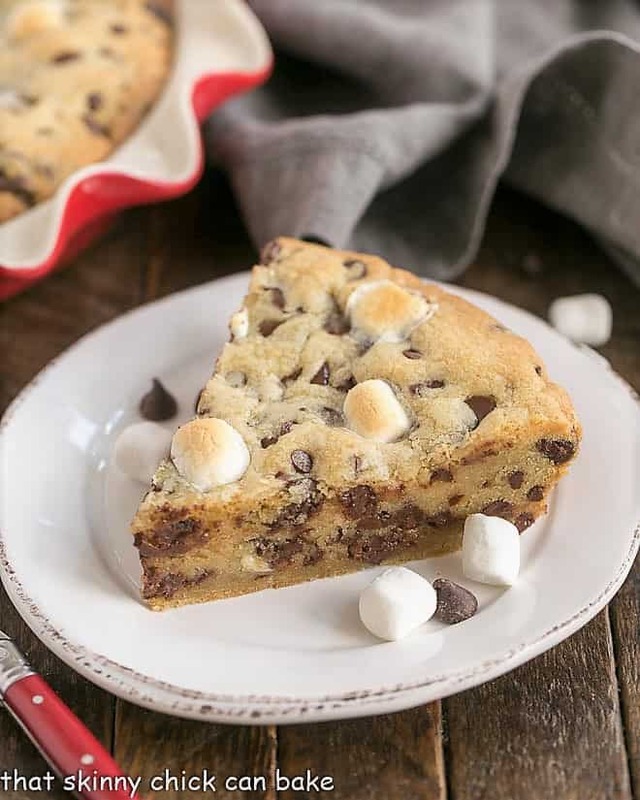 Serves 30 adults or 1 hungry teenager boy after school is how this serving goes… LOL When do you get to start baking in that new beautiful kitchen of yours? Just pinned! 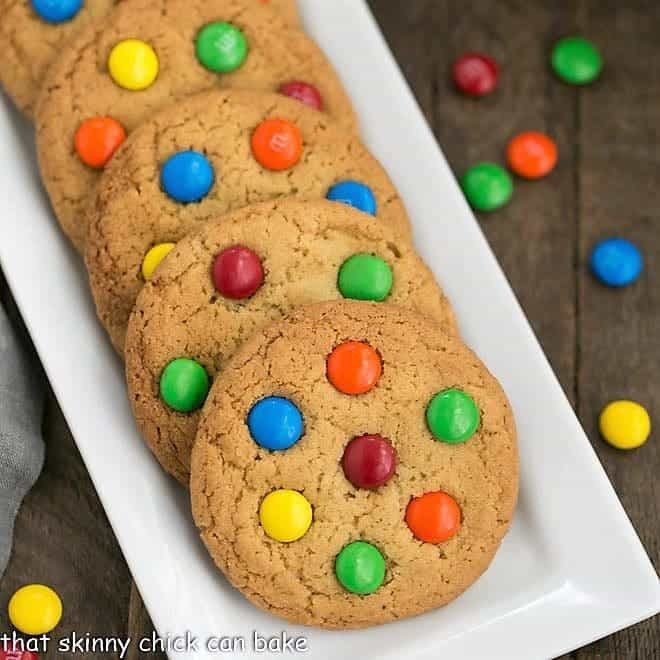 M&M cookies are just what I need – classic for a reason! Love a classic cookie! Great recipe! Best cookie recipe I’ve tried by far! Oh, I’m so glad, Melissa! Thanks for letting me know!